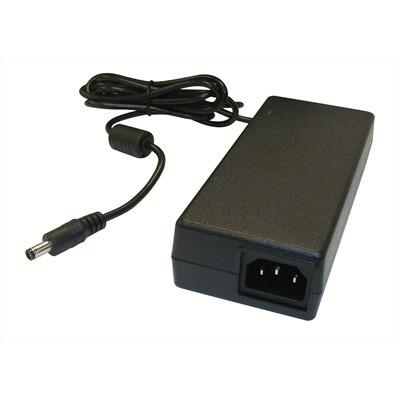 Lightweight, compact desktop switching power supply, features a universal input voltage of 100-240VAC 50/60Hz and includes a barrel type (coaxial) output connector as indicated. Requires a NEMA5-15P to IEC320-C13 cord (138-406). Order included items ONLY if you require additional quantity.